This attractive brick Manor House contributes to the variety of English Country houses in this neighborhood, where many Tudor manor houses and Cotswold cottages were built in the 1920’s and 30’s. The nighborhood is often referred to as the Osborne Woods section. 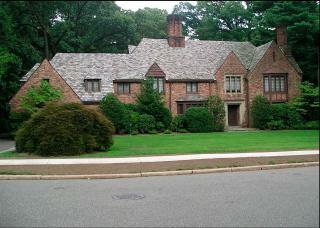 This home has been on New Jersey's Register of Historic Sites since September 1986.